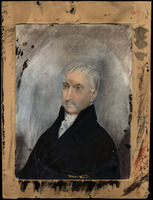 McLEAN, FRANCIS, army officer; b. c. 1717, one of two sons of Captain William Maclean and Anne Kinloch; d. 4 May 1781 at Halifax, Nova Scotia. Apparently he never married. Francis McLean served with his more famous kinsman Allan Maclean in the Scots brigade in the Dutch service and was captured at Bergen op Zoom (Netherlands) in 1747, where Maréchal Lowendahl, the French commander, praised him for his bravery. In October 1758 McLean joined the British army as a captain in the 2nd battalion, 42nd Foot, and was wounded in the capture of Guadeloupe in 1759. He exchanged into the 97th Foot in 1761, became lieutenant-colonel in 1762, and went on half pay in 1763. From 1762 to 1778 he was in the Portuguese service, attaining the rank of major-general and appointment to the government of Lisbon. At the same time he dabbled in land in North America. He acquired a lot on St John’s (Prince Edward) Island and in 1773 was among several petitioners for 250,000 acres in upper New York. In 1777 the 82nd Foot was raised for service in North America and Francis McLean appointed its lieutenant-colonel. He sailed with the regiment for Nova Scotia in the spring of 1778, arriving in September. There he replaced Major-General Eyre Massey as military commander at Halifax and was appointed to the local rank of brigadier in Nova Scotia by Sir Henry Clinton, the commander-in-chief in North America. In addition to his military duties, McLean was responsible to Clinton for overseeing Indian affairs and looking after arriving loyalists. On 16 June 1779, under Clinton’s orders, McLean took an expedition of about 650 men to Fort Majebigwaduce (Castine, Maine) to find a refuge for loyalists and to forestall an anticipated attack on Nova Scotia by troops from New England. From 25 July an American force of between 2,000 and 3,000 soldiers and sailors in some 40 vessels under the command of Dudley Saltonstall besieged him there. McLean faced desperate odds. Although he had not had nearly enough time to complete his fortifications, he resolved to stand his ground while sending for help. A gale drove back one relief force from Halifax, but Sir George Collier sailed from Sandy Hook (N.J.) on 3 August and engaged the Americans on the 14th, routing them completely. McLean’s casualties amounted to only 23 killed, 35 wounded, and 11 missing. He returned to Halifax in the late fall. McLean was certainly a brave and resolute soldier. John Moore, later a famous general, served as a subaltern under him at Majebigwaduce and formed a fondness for his superior. He enjoyed McLean’s military library, which he considered one of the finest of its sort, and later extolled the soundness of his military knowledge. As an administrator, McLean proved controversial. Superintendent of Indian affairs Michael Francklin stated that in 1781 McLean refused to release trade goods to him without explicit instructions from Clinton. Francklin, however, had a personal grievance; until the fall of 1779 the government had allowed him to draw all provisions from military stores, but in 1780 he was required to obtain the permission of the commander-in-chief. Another contemporary, the Reverend Jacob Bailey*, found McLean “opinionated and headstrong,” and “insensible to every softer feeling.” Bailey asserted that McLean arbitrarily took rations away from 200 or 300 loyalist refugees, allowing them to only about 20 people. But Clinton checked McLean’s expenditures on loyalists closely and at the same time approved heartily some of McLean’s administrative arrangements, such as the establishment of regimental hospitals. McLean grew visibly ill during the winter of 1780–81, and died on 4 May 1781 at Halifax, where he was buried two days later. [Henry Clinton], The American rebellion: Sir Henry Clinton’s narrative of his campaigns, 1775–1782 . . . , ed. W. B. Willcox (New Haven, Conn., 1954), 135, 419–20. The correspondence of King George the Third from 1760 to December 1783 . . . , ed. John Fortescue (6v., London, 1928), III, 531. G.B., Board of Trade, JTP, 1764–67, 402, 413; Hist. mss Commission, Report on American mss, I, 250–51, 301; II, 14–17, 172, 371, 416, 460, 466; Report on manuscripts in various collections . . . (8v., London, 1901–14), VI, 151; Privy Council, Acts of P.C., col., 1766–83, 63, 597; PRO, CHOP, 1773–75. NYCD (O’Callaghan and Fernow), VIII, 757, 791. H. M. Chichester and George Burges-Short, The records and badges of every regiment and corps in the British army (London, 1895). DNB (biography of Allan Maclean). J. B. M. Frederick, Lineage book of the British army, mounted corps and infantry, 1660–1968 (Cornwallville, N.Y., 1969). G. W. Allen, A naval history of the American revolution (2v., New York, 1913; repr. 1962), I, 420–21. W. S. Bartlet, The frontier missionary: a memoir of the life of the Rev. Jacob Bailey . . . (Boston, 1853), 165. Brebner, Neutral Yankees (1937), 328–29. James Browne, A history of the Highlands and of the Highland clans (4v., Glasgow, 1843). A history of the Scottish Highlands, Highland clans, and Highland regiments . . . , ed. J. S. Keltie (2v., Edinburgh and London, 1875), II, 452. J. C. Moore, The life of Lieutenant-General Sir John Moore . . . (2v., London, 1834). Murdoch, History of N.S., II, 600–1. Carola Oman, Sir John Moore (London, 1953), 50, 94. G. G. Patterson, Studies in Nova Scotian history (Halifax, 1940), 17–33. Franklin B. Wickwire, “McLEAN, FRANCIS,” in Dictionary of Canadian Biography, vol. 4, University of Toronto/Université Laval, 2003–, accessed April 22, 2019, http://www.biographi.ca/en/bio/mclean_francis_4E.html.